Games Workshop has a new pocket-sized 40k rulebook up on their website. This portable, small-format rulebook has been specifically designed to be the gamer’s ideal companion. Don't let its size fool you though. Measuring a convenient 205mm x 150mm, this handy book contains the complete rules for Warhammer 40,000. 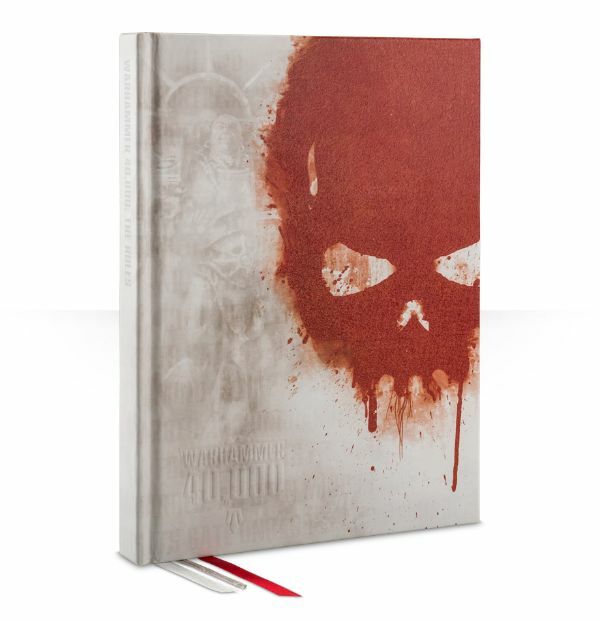 This premium full colour volume features a red textured skull on its matt white hard cover and red gilt page edges. It’s as beautiful as it is useful. Created with gamers in mind, the three ribbon bookmarks are perfect for marking the rules you use most often.